We try to enhance customer benefit by presenting high quality of Assembly Line Automation Machine. These products are available to the clients in various provisions. Pascal Auto Systems started in 1996. It is situated in automation hub at Sinhagad road, Nanded phata, Pune. We are a company working in the field of low cost automation and assembly SPMs and presses catering to automobile sector. 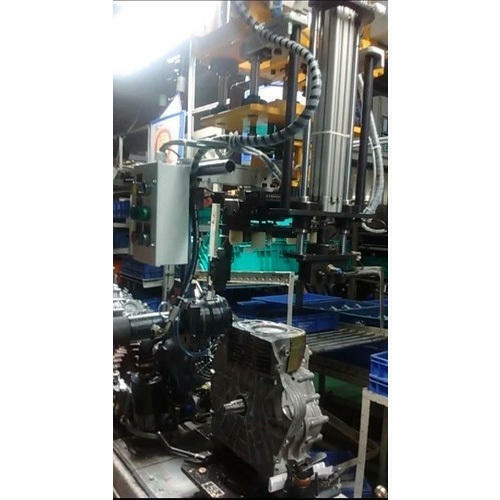 Our expertise is in providing cost effective solutions in engine and vehicle assembly lines, taking due care of future maintenance issues and spares availability. We also manufacture and export hydraulic power packs, CNC machining fixtures and assembly spm. Our main area of operation is hydraulics and pneumatics.